1. What are the best ways to engage and encourage new investors? Dustin Lucien is the Chief Operating Officer of Betterment and has been with the company since 2013. Prior to becoming COO, Dustin served as Betterment's Chief Technology Officer, as well as the VP of Engineering. Dustin received his Bachelor’s degree in Biomedical Engineering at Case Western Reserve University, as well as his Master’s degree in Biomedical Imaging & Computing. In the last year, the regulatory landscape has evolved significantly. Security tokens are now the focus of blockchain businesses, regulators, and trading platforms. This SEC compliant offering is highly attractive to both digital asset investors for its high-tech innovation and to institutional investors for its more identifiable composition. What does this paradigm shift mean for you? How can you prepare for it? How will businesses comply with these regulations? The panel will discuss the mechanics of how security tokens will function and its benefit to the ecosystem, including increased liquidity, lower issuance fees, accessibility to global capital, among others. Additionally, the panel will cover the infrastructure needed to facilitate a compliant offering of digital assets, including securities token trading. 2. How is finance leveraging today’s mobile, web and cloud technologies? 3. How can this reduce costs for investors, banks and financial institutions? Jack is co-author with Chris Burniske of "Cryptoassets: The Innovative Investor's Guide to Bitcoin and Beyond" (McGraw Hill, 2017). Jack is Managing Partner of Doyle Capital Management which is an early stage investor to companies involved with transformative technologies. He's also an angel investor and advisor to start-ups in innovative growth comapnies and is an author of retirement and finance books. Come listen to five startups in the early stages of building their businesses present their plans. Join our esteemed panel of industry experts to gain insight into where the best opportunities are to invest in FinTech today. As in the past, this event is interactive – both the panel of experts and the audience will weigh in on and ask pivotal questions to the presenting startups. Beth Kramer has extensive experience in advising investment advisers on the formation and ongoing management of funds and on the regulatory and compliance aspects of their businesses. She counsels investment companies, private funds and separately managed accounts on structuring, organization, distribution, and SEC regulatory and compliance issues, including responses to SEC examinations. Beth’s experience includes the creation of new advisory businesses, along with registration and formation with appropriate regulatory authorities, development of compliance policies and procedures, performing compliance reviews, and counseling clients on compliance with the Dodd-Frank Act, Investment Advisers Act of 1940, and the Investment Company Act of 1940. She also regularly advises on the creation of disclosure documents for private funds, drafting of investment management products, and evaluating fund documents for institutional investors and family offices seeking alternative investments. Additionally, Beth counsels clients on transactions involving cryptocurrency, blockchain, and token offerings. She also advises clients on applicable securities laws and regulatory matters. She serves on the firm’s Disruptive Technology Taskforce advising on all aspects of the industry. Previously, Divya was the Chief Revenue Officer at Instamotor, VP of New Product at Lending Club, and a Product Manager at Google. Divya graduated from MIT with BS in 2002 and MBA from Harvard Business School in 2007. John is currently working on democratizing the cryptocurrency financial industry with Floating Point Group. On the off-times, he is either working on state-of-the-art data compression algorithms or trying out new quantum computing algorithms at MIT JLab. In his role as AlphaPoint’s Head of Product, Ned is charged with leading the product management and marketing of the company. Prior to joining AlphaPoint, Ned led the capital markets and government businesses for Black Knight Inc.’s Data & Analytics division, a leader in mortgage information. Ned also spent over two decades with Lewtan, a securitization data & software company, holding positions that included head of Sales and Marketing, General Manager, and Chief Marketing Officer. Ned has launched over a dozen new products and services and is a recognized authority in the securitization industry. He has experience working with both traditional and esoteric asset classes, having worked directly with issuers, servicers, broker-dealers, and investors dealing with nearly two dozen asset types. Ned has been published in various books and trade journals on topics including technology issues in securitization; Regulation AB; and the application of advanced techniques to value mortgage-backed securities. An initial board member of the Structured Finance Industry Group (SFIG), Ned has co-chaired its Membership Committee and the Data & Analytics Committee while serving on other working groups covering topics like RMBS 3.0, Regulation AB 2, rating agency reform and risk retention. Ned holds a bachelor’s degree in economics with concentrations in finance and marketing from the Wharton School of the University of Pennsylvania. Neepa Patel is the Chief Compliance Officer and Director of Regulatory Products at R3. Neepa has 14 years of experience in various regulatory and compliance positions across the public and private sector. In her current role, Neepa identifies opportunities to use blockchain to reduce regulatory costs associated with complex regulations. She also educates global regulators on the Corda platform and designs use cases for regulators to use the technology internally to enhance regulatory supervision. Previously, Neepa worked at Morgan Stanley and Deutsche Bank in compliance and first line of defense risk roles. At Morgan Stanley, she helped develop a compliance framework for the newly formed banking entities, Morgan Stanley Bank and Morgan Stanley Private Bank. Neepa began her career as a Bank Examiner at the Office of the Comptroller of the Currency on the foreign bank supervision team and the large bank team. Neepa attended Georgia Tech. 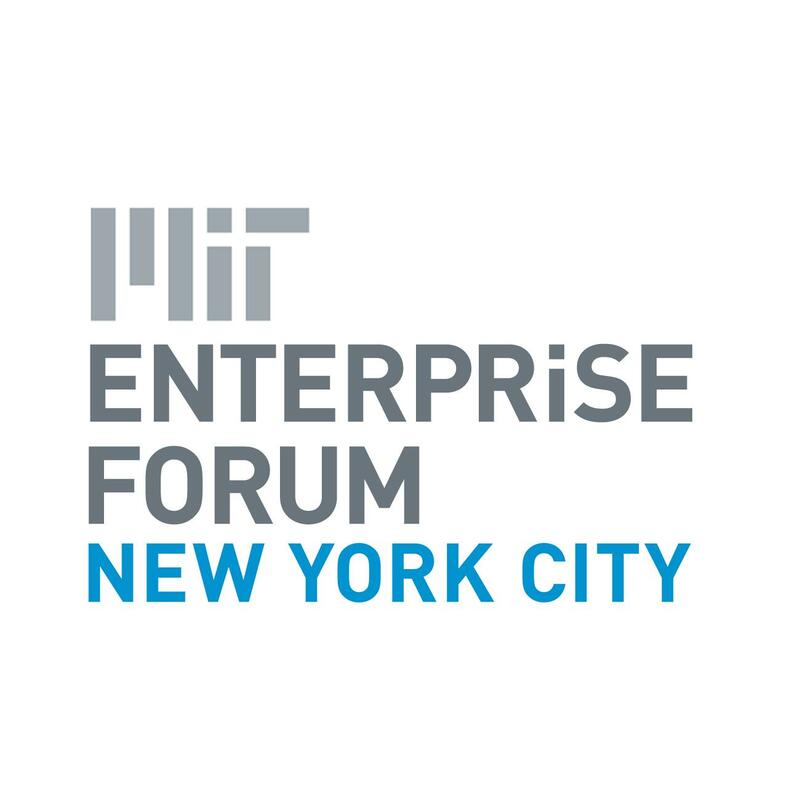 The MIT Enterprise Forum of New York City has for forty years supported entrepreneurs in their efforts to start and run technology-driven business ventures. We do this by delivering world-class business learning events along with opportunities to build relationships with business people who share an interest in innovation and entrepreneurship related to technology, with focus on digital media, information technology, cleantech and bioscience/healthcare. Topics for these events included monetizing digital offerings, raising capital, cleantech, success stories of founders whose companies now generate $100 million or more, biotech, web advertising, business plan writing and pitching, wireless broadband, intellectual property and hyperlocal news.